As part of the preparations for the transfer to the new building, PGC ED and staff visits the new building for preliminary inspection. The DSCF team with the Philippine Carabao Center staff (2nd-3rd from L: Gerard Ramos, Shanemae M. Rivera, Excel Rio S. Maylem) who took part in a 3-day training in DNA Extraction and Capillary Sequencing. DOST Sec. Fortunato T. dela Peña (5th from L) dropped by the PGC booth during the National Science and Technology Week (NSTW) with its theme, “Science for the People”. July 11-15 at the World Trade Center, Pasay City. Program Director of the DNA Sequencing Core Facility, Dr. Ma. 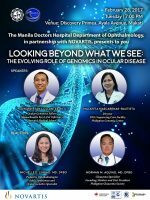 Anita M. Bautista will be a resource speaker for an event hosted by the Manila Doctors Hospital Department of Opthalmology on Feb. 28, 2017. Conference on Biodiversity & Chemical Biology of Marine and Terrestrial Life in the Philippine Region. 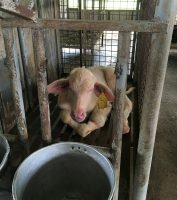 A visit to the Philippine Carabao Center to talk about the genomics capabilities of PGC. The DNA Sequencing Core Facility welcomes the new members of the team! DSCF and CFB facilitated a workshop for PCAARRD and PCIEERD researchers and staff on genomics and bioinformatics. 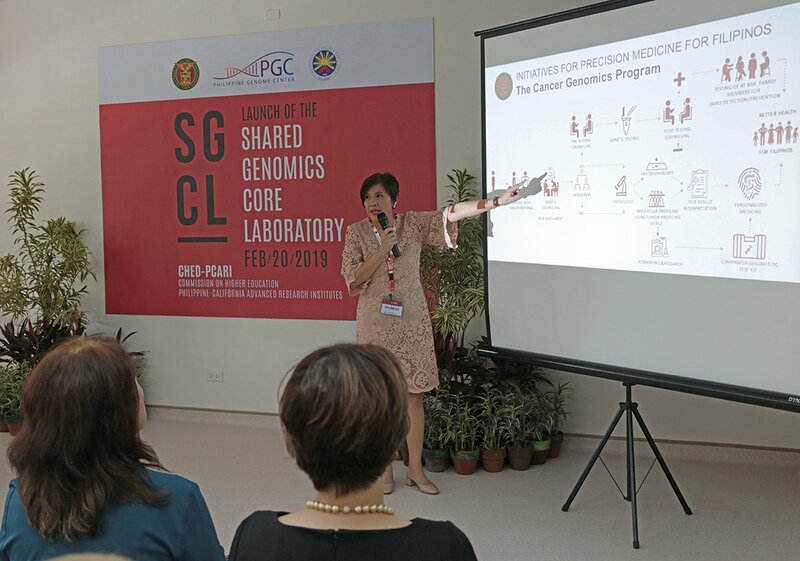 The 5-day boot camp included lectures, hands-on laboratory experiments, and computer work which aimed to familiarize the participants with the latest developments in the field of genomics and bioinformatics, to update them regarding current research projects, and to demonstrate the capabilities of the Philippine Genome Center Core Facilities. DSCF research assistants David Gonzales and Gabriel Villamil were at the Ohio Agricultural Research and Development Center (OARDC), Molecular and Cellular Imaging Center (MCIC) of the Ohio State University in Wooster, Ohio, for bioinformatics training under Dr. Asela Wijeratne, research scientist and head of genomics at the MCIC.